And he can't wait to watch you grow. A wonderful gift for a new baby, baptism, birthday, or any occasion to show your child or grandchild they will always be God's Little Sweet Pea. 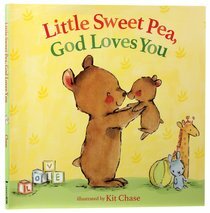 About "Little Sweet Pea, God Loves You"